Suddenly, the PF regime says is in the process of transforming the Bursaries Committee into a Loans Board to help generate revolving funds for the continued support of university students. Education Minister John Phiri told Parliament on Friday that the Government had realised that it was not sustainable for it to sponsor all the students who got enrolled into universities. Phiri said his ministry had since embarked on a programme to transform the bursary support to a loan scheme by transforming the Bursaries Committee into a Loans Board, which would oversee the revolving fund. 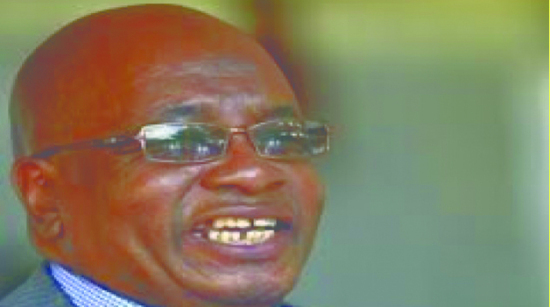 Phiri did not say when the PF realised and or agreed to transform the bursaries scheme into loans. During campaigns in 2011, the PF promised free education to all Zambian students. Phiri was responding to a question from Choma Central UPND MP Cornelius Mweetwa, who wanted to find out what led to the death of a first-year student at the University of Zambia (UNZA) on Tuesday this week. By their very nurture, bursaries are meant to help poor students who cant afford high fees charged by universities. Loan schemes on the other hand work well in countries where students are guaranteed paid employment after graduating. But in Zambia, where more than 90 per cent of students who have graduated in the past five years from universities and colleges are still languishing in the streets, it simply can’t work. How can you repay a loan when you do not have income? The PF is simply looking for another excuse to shed off another responsibility and start blaming students for not paying back loans. In the past, the University of Zambia was for intelligent students even from poor backgrounds but it is now moneymaking venture accessible only by rich kids and children of people with political connections. Phiri said K154 million would be required to meet the bursaries for the 6,000 UNZA students this year. But this is less than the amount the PF has spend on unnecessary by-elections. It is much less than what the PF spends on maintaining deputy ministers who each has three officials vehicles, gets allowances and salaries plus fuel allowances.